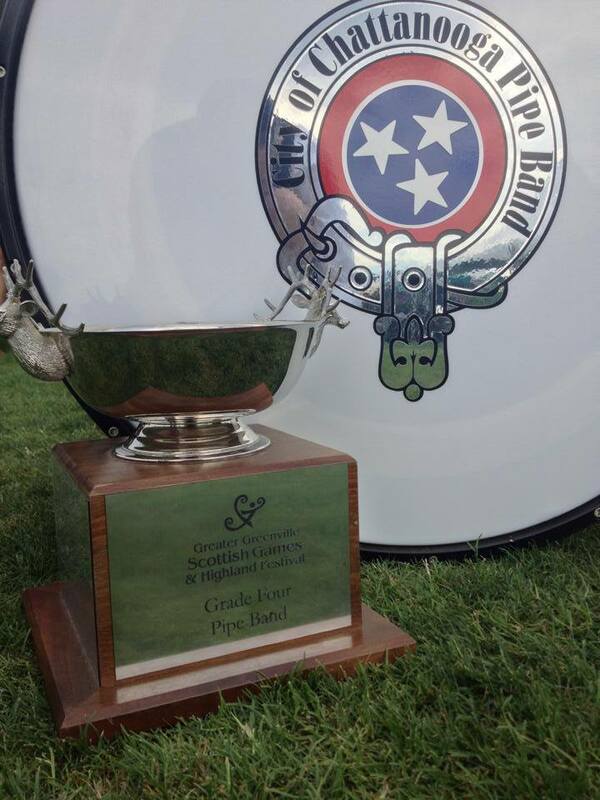 City of Chattanooga Pipe Band won every contest in 2014. The Chattanooga Pipe Band, is a non-profit corporation based in Chattanooga, TN and serves all of southeast Tennessee, north Georgia, northeast Alabama, and the western Carolinas. Our Mission: A) Organize and sustain a competition pipe band that represents the Chattanooga area in the state, regional, national, and international competitions; B) Train and educate members to perform with a high level of skill and artistry; C) Perform at local and area functions professionally, with pageantry and dignity; D) Educate young people in piping and drumming to help ensure that the band will continue to have a steady supply of quality pipers and drummers; E) Entertain and inform the many people in the Chattanooga area, especially those with ancestral ties to Scotland, Ireland, Northern Ireland, Wales, and England; and F) Foster better understanding of all of the Scottish Arts, with primary emphasis on piping and drumming. At present, the band is a Grade 5 competition band in the Eastern United States Pipe Band Association (EUSPBA). The EUSPBA, as the governing body, defines and enforces the rules of competition, ranks individual players and bands, and provides judges for the events. The Band is actively recruiting new members and we invite anyone interested to come and visit a practice session. Our current practice location is Northside Presbyterian Church on Thursday nights. Lessons for piping and drumming begin at 6 p.m. and last for 30 – 40 minutes. Band rehearsal begins at 7 p.m. Please email us for more information. The most current information is found on our Face Book page: FaceBook.com/ChattPipeBand .